Law enforcement officers have arrested a man suspected of trafficking hundreds of victims after executing search warrants at three various locations in North Texas. The search warrants were executed on Tuesday in the 12400 blocks of Yellow Wood Drive in Forth Worth; 4500 blocks of Marcell Avenue in Dallas and 1700 block of Overlook Drive in Lancaster. 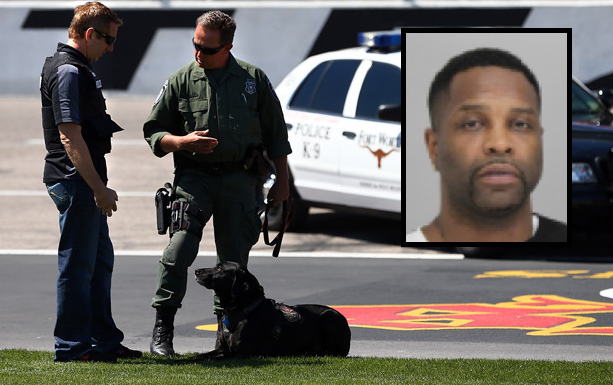 The Dallas police also said that the man belongs to a group that had connections to multiple cities in Texas and across the country. The police also revealed that 39-year-old Tremont Blakemore, the head of the prostitution organization, maintained a group of 20 women and prostituted them for the profit of the group. The people who are arrested were 38-year-old Donna Gonzalez and 26-year-old Peaches Hurtado accused of helping Blakemore with the illegal activities. The trio faces charges of aggravated promotion of prostitution and engaging in organized criminal activity. Law enforcement said the victims came from the states of Maine, Wyoming, and Montana. The investigators interviewed women at the house in Yellow Wood and in Overlook. They also offered counseling services to the women. Officers believe Blakemore controlled and manipulated hundreds of victims to push his agenda. The investigation remains active and ongoing as investigators gather more pieces of evidence and consolidate other details. Still, they are asking the public’s help in getting more relevant information about the group and their criminal activities. Anyone with information is requested to immediately call Dallas Police High-Risk Victims Unit Detective Paulson at 214-671-4217.